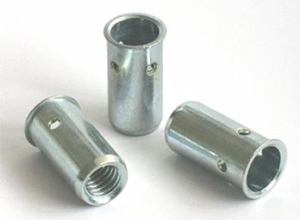 Low profile head round body BCT rivet nut.  Available in steel, aluminium or brass.  M5-M10 sizes.  Suitable for material up to 14.0 millimetres thick. 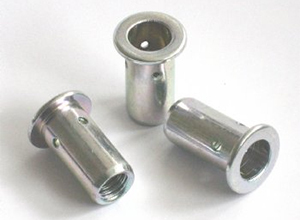 Small counterunk head BCT inserts are used where a close fit is required between mating panels.